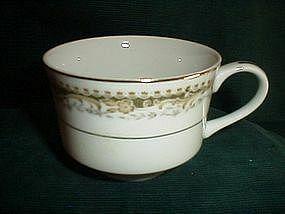 Set of 2 Gold trimmed mini teacups, probably belong to a children's set. 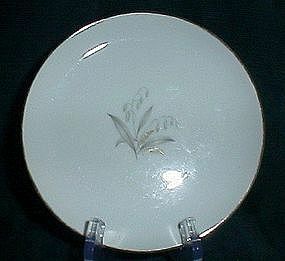 The gold rim is embossed and the body has gold floral and leaves trim. One cup has a chip on the foot. 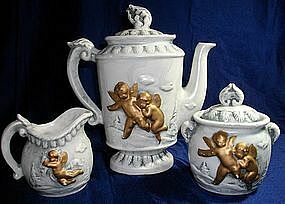 The are about 2 1/2" diameter at the top and stand about 2 1/4" tall. 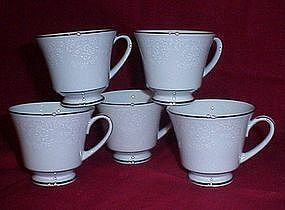 They are stamped Japan in gold on the bottom. 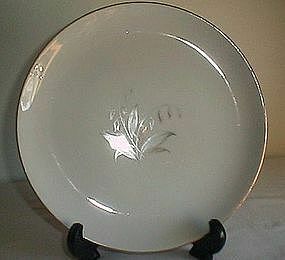 Kaysons Fine China Golden Rhapsody 9 1/2" dinner plate, light wear. 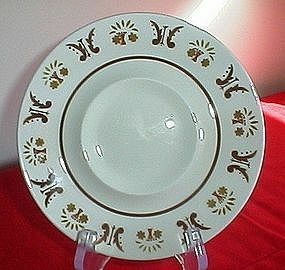 Kayson's Fine China Japan Golden Rhapsody pattern bread and butter plate, 6 3/8" diameter, light wear. 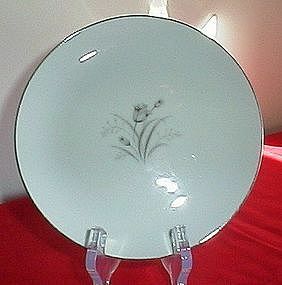 Creative Fine China of Japan Royal Elegance pattern, one 6 3/8" diameter bread and butter plate and one saucer for teacup. Excellent condition. Embasy Japan Touch of Gold Saucer, great condition. 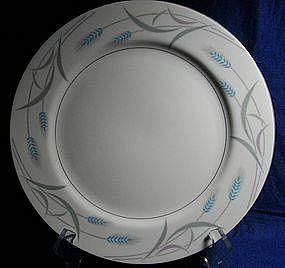 Mikasa Mediterrania Rick Rack Pattern Saucer 4037, just starting to develop crazing, otherwise pretty good condition. 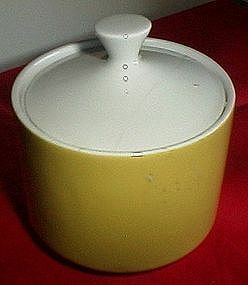 Mikasa Focus in yellow sugar bowl. The lid has been broken but repaired reasonably well. 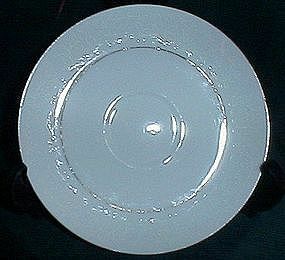 The break is visible in the photo. 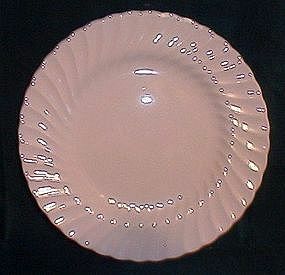 Summit Fine China Dawn Rose Patter bread and butter plate. 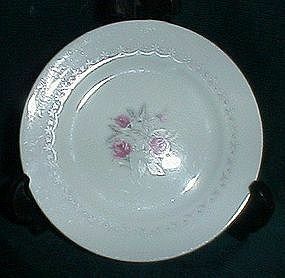 Near perfect condition, pink roses with grey leaves and grey design on inside rim, platnium band on outer rim. 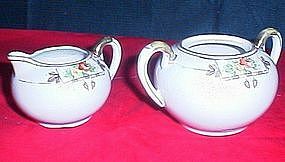 Nippon Elite B creamer and sugar bowl, handpainted. Unfortunately the lid to the bowl is missing. Excellent condition. 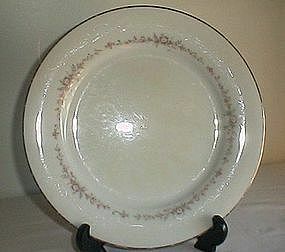 Sheffield Bone White Pattern 10 3/8 dinner plate, good condition, a few flea bites on the rim.